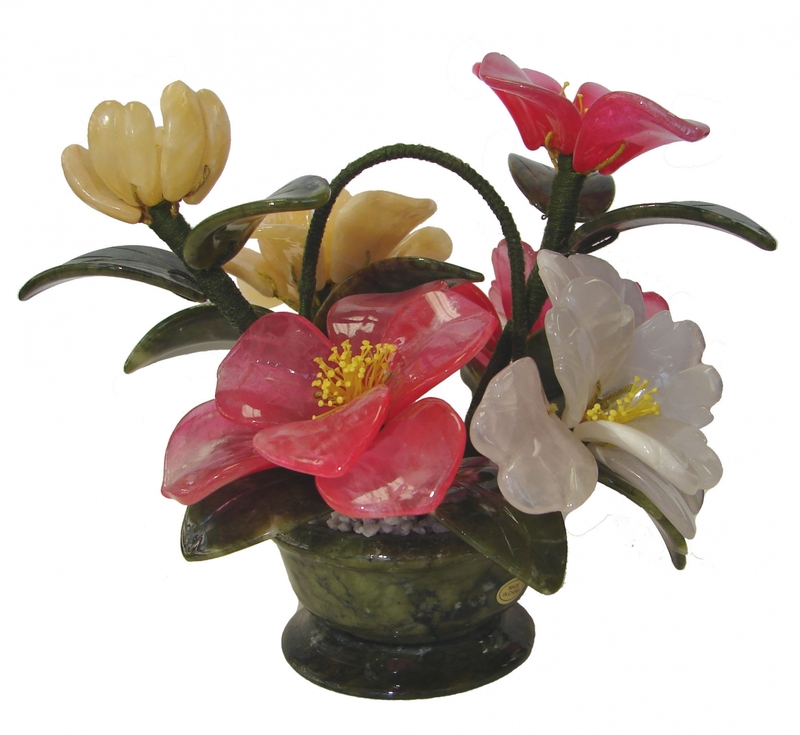 This beautiful jade basket features of one round shape jade basket filled of colorful jade peony flowers. It is the symbol of wealth. The dimension of this whole jade basket of flower is approx. 7" x 7" x 6" when it is shaped fully opening. The dimension of the jade vase is approx. 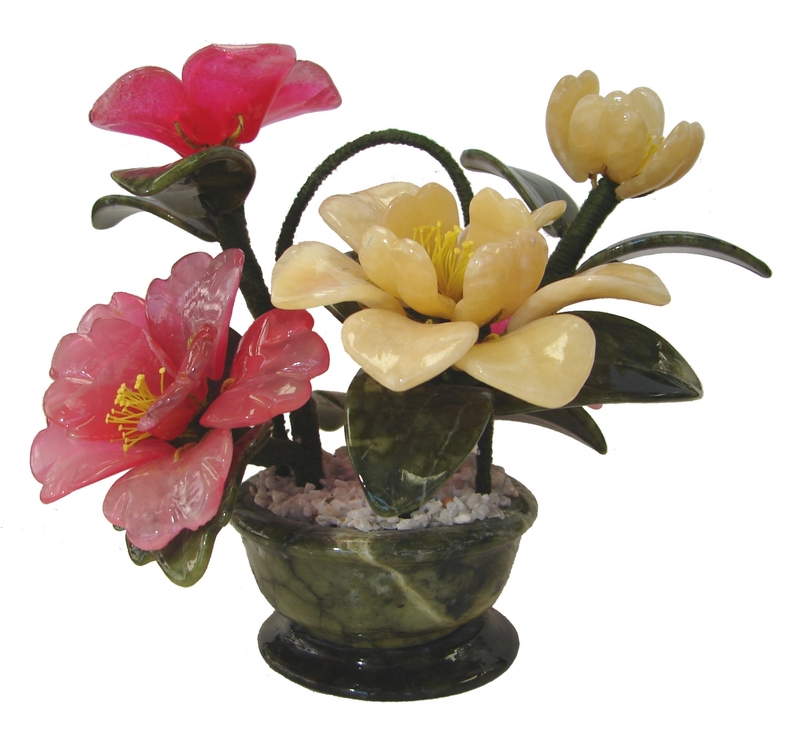 3 1/4" x 3 1/4" x 1 3/4" and it is made of jade.